At Wineware we know that the aftercare of your glasses is just as important as using the glasses. You want to clean each glass without affecting its condition or quality. Imagine the scene; you have had a few glasses of wine, there’s a lot of washing up to do from dinner and you are too tired to wash the glasses by hand. What do you do? “Oh it won’t hurt” and with that, you simply pop the wine glasses in the dishwasher. We have produced a small guide to make you reconsider your decision, depending on whether the glass contains lead. It’s known that heat and water will bring lead out of glass. So if you have seen cloudy wine glasses before this is usually the cause. 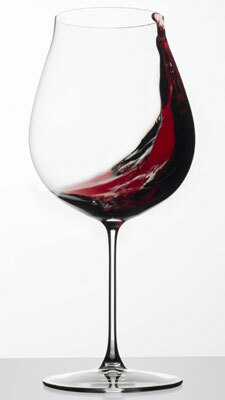 So how do I clean Riedel wine glasses? We abide by; never soak lead crystal glasses. Use a cool wash for your glasses. Wash glasses on their own; do not mix with plates, cutlery and other items. To make your glasses shine, steam over boiling water than use a cleaning cloth. Accessories, such as a wine glass drying rack, are perfect for drying your glasses and reducing the appearance of water spots. Alternatively place on a cloth to dry (and flat surface). Hold the glass by its base and dry. Never twist the base and bowl of a glass. If you need any further advice on how to clean your glass, whether it is Riedel or a different brand give us a call on 01903 786148 or fill in our online form.